El Burleta from Campo de Criptana with its fantasy “The Conquest of El Dorado”, special prize of the XXXVIII regional contest of Murgas, Comparsas and Carrozas. The rain did not make an appearance and it was possible to enjoy a parade with 35 groups of clubs and comparsas from different points of Castilla-La Mancha, mainly from the province of Ciudad Real. 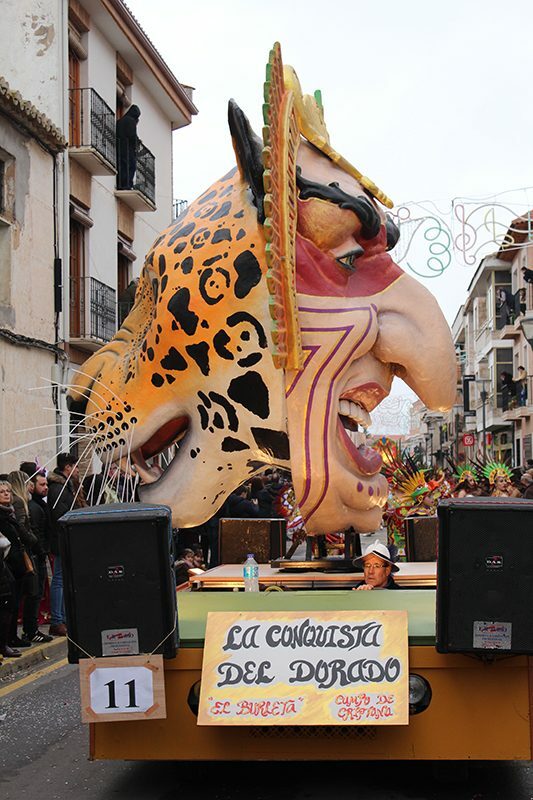 The first prize of Carrozas went to the Peña “Harúspices” of Tomelloso and his fantasy “On the trail of Jetty”, while the second prize went to the Association Nuestra Señora del Carmen of Pozuelo de Calatrava with his fantasy “Mexican Culture”. La Peña “Los Rocheros” of Miguelturra won the first prize of comparsas with the theme “Imperium” and in the category of murgas the first prize went to C.E.I.P. 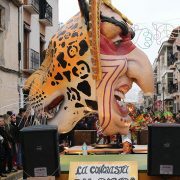 Virgen del Socorro from Argamasilla de Alba with its theme “Carnival light”.